Before talking about the five big industries that will totally be disrupted by Virtual Reality, let me introduce you to what Virtual Reality actually is. This is because it has come to my attention that there are a few (actually very many) who still cannot wrap their heads around this newbie called Virtual Reality. In the simplest way I can imagine how, Virtual Reality is the new way to watch videos. We all know about watching videos through casting light on a wall using technologies like projectors, then on television sets, computer screens, and smartphone screens etc. In recent times, watching videos on those platforms improved to 3D experiences where you put on some 3D video glasses and you can see people and objects fly off the screens towards or away from you. For example, the 3D video can “cheat” your brain that a bullet shot in the movie is actually going to hit you, or a dracula is flying to bite your neck, and some other crazy but scary stuff. If you haven’t watched a 3D movie, I advice you to visit iMax and experience what I am trying to say. In my description of Virtual Reality above, I have mentioned how Virtual Reality will change the movie experience – where Virtual Reality will enable viewers to be right where the movie action is happening. The same applies to Music, Sports, and Video Games. Virtual Reality will allow music lovers to attend music concerts happening anywhere in the world without having to buy travel tickets to attend the concerts. For example, if Adele is performing her great Hello tune in the heart of New York, the Adele fans in the heart of Nairobi will only need to buy the virtual concert tickets, put on their Virtual Reality headset and within seconds they’ll be right inside the concert just like any other person who went there in real physical (non-virtual) life. For the Chelsea, Man U and Arsenal fans, I know that you have longed for a day you will be able to afford the air ticket, afford the hotel and accommodation fees, and afford the match tickets in order to watch your team play the rival, live. 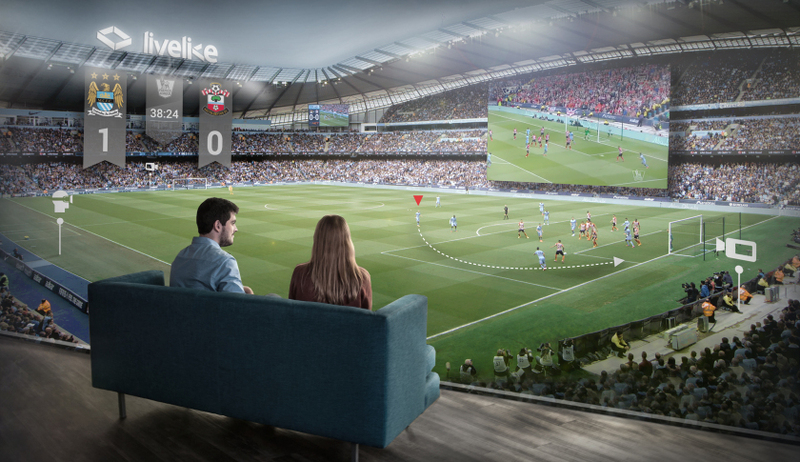 Virtual Reality is the technology that will allow you to attend that match, live, without having to pay for the Air ticket, hotel and accommodation, and match ticket. Maybe you will only be required to pay a few dollars e.g. $50 to access the match online in a Virtual Reality format. That is, Virtual Reality will allow you to virtually travel from your coach to be in the stadium just like any other person who went there physically. On the music front, we read in January this year that “Universal Music Group (UMG) partnered with US radio and events giant iHeartMedia to create a series of virtual reality (VR) music experiences designed to ‘connect artists, music fans and brands and sponsors’” as was reported by Tim Ingham in MusicBusinessWorldWide.com. A website that I have not tested called Firestormviewer.com already allows you to “Enjoy free live music in virtual reality”. If you sign up today, you will “join millions of people using the largest-ever 3D virtual world” to attend several Virtual Reality music concerts. Finally on Entertainment we have the gaming industry that is already being disrupted by Virtual Reality. All the Virtual Reality Platforms in existence today offer gaming as the primary content that can be enjoyed right after purchase. When contents for sports, music, movies, education, travel and tourism, sales and marketing, medicine, and any other content that can be disrupted by Virtual Reality are yet to be ready, there are already thousands of games that you and I can play using Virtual Reality technologies right here right now. On gaming and just like in any other industry, what Virtual Reality enables you to do is to be right inside the game. If it is a war game, you won’t be controlling the game by pressing some consoles as you watch your avatar being attacked, but you will be right in the game avoiding being attacked.